One of the most obvious factors that separate the successful and the unsuccessful is the power of consistency. Successful people are able to produce extraordinary results because they choose to follow their plans and take the necessary action almost every day, with or without motivation. Thus, if you want to produce amazing results and to achieve your goals, you must learn how to be consistent in what you do too. Let’s face it, it’s hard to be consistent. The moment we set our goals, start a new project, or decide to build a new habit, whether it is to hit the gym or to build a successful blog, we are good in the beginning. We feel motivated and extremely hard working in the first few weeks. For some, the energy and the motivation only last for a couple of days. Some are able to go on for months, but eventually, the majority will give up because they started to lose steam and fail to be consistent. And this is what makes all the difference, my friend. Success is not so much of what you do once in a while, but it is more about what you do every day. It is what you do daily that determines where you are right now. Therefore, if you want to change your life, start by changing your routine. What you do each day will determine your results, and ultimate, your life. Kobe Bryant is no doubt one of the best basketball players in the world. He becomes an extraordinary player because of his insane work ethics. In fact, it was his consistency that made him the best. The author who wrote the author of Michael Jordan: The Life, Roland Lazenby, said that Kobe is the only one that had done the work to deserve the comparison. And even during high school, Kobe used to show up to practice at 5AM and leave at 7AM before class. As you can see, success is about what you do each day, not about what you do once in a while. And if you can stick to your plan and be consistent in what you do, success can be yours too. So here are the 10 amazing methods how you can be consistent in taking action, following your plan, and reaching your goals. The first thing you need to do to be consistent is to get rid of all the things that are stopping you from being consistent. Most people thought that in order to be consistent, they need more motivation, which can be true, but motivation comes and goes, and we cannot solely rely on motivation alone to be consistent. We need to confront our barriers and find out what is stopping us from taking action or being consistent. When the roadblock is gone, we are able to do things more smoothly and follow our plans. For example, if you set the goal to hit the gym twice a week, but you only follow the plan for about 3 weeks and after that, you lost your motivation and fail to follow through, ask yourself why. Now that you have identified the barriers that are stopping you from being consistent, you know what you can do now, right? Get rid of these barriers. For instance, if the gym is too crowded, either you can schedule your workout session to a different time or day, or go to another gym. If your workout practice is too brutal and you feel like your body can’t take it, the next time when you workout, go slow, my friend. Start small and then build up. And if you don’t find working out in the gym fun or enjoyable, try to get a partner or listen to your favorite songs as you workout. Else, just change to another exercise activity that you love. Can you see how powerful this method can be? The problem with most people is that whenever they feel like they are not being consistent, the first thing that they tell themselves is that they need more motivation, which may not always be the case. Once you get rid of these barriers that are stopping you from sticking to your plan, you are able to go forward faster and you feel that you will have more motivation to take action. It is like driving your car with the handbrakes on. When you release the handbrake (getting rid of your barriers), you feel the car can go forward faster and smoother. Take a piece of paper and write down all the things that are stopping you from proceeding forward. Just write down all the reasons why you are not consistent and you don’t want to do it. And then, confront the list by getting rid of those barriers. The next method is to use the Jerry Seinfeld method. Some people call this the calendar method. Previously, I have written a more detailed article to cover this technique, you can read it here. Basically, what you need to do is to use a calendar and mark down the day you take action and followed your plan. You put an “X” on the calendar and your mission is to never break the chain. So each day, once you followed your plan and you took the necessary action, put a big “X” on the calendar. Whenever you see the chain going longer, the more motivated you will become to maintain the chain and keep the habit going. This method may say a little ridiculous, but I have tested it myself, and it works. So do it and experience the result by yourself. Get yourself a calendar. A table calendar will do. Identify the one action that you need to perform each day. And every time you take action, mark your calendar. Remember, you have to display your calendar somewhere you can see often so that it will serve as a reminder to trigger you to take action and be consistent. Dr. Gail Matthews, a professor in Dominican’s Department of Psychology has done a study and discovered that people who shared their progress report of their goal with someone else have a 76 percent higher chance of reaching the goal. In her study, she divided the participants from all walks of life into a few groups. The group that showed the most profound result where the participants managed to achieve the goals, are those that shared their progress report with others. “My study provides empirical evidence for the effectiveness of three coaching tools: accountability, commitment, and writing down one’s goals,” Matthews said. You can read the entire study from this article. Hence, what you need to do then to stay consistent in achieving your goal is obvious, share your progress and send a report to him or her each week. When you have someone watching your back and overseeing your progress, you are more likely to follow your plan and take action. Having an accountability partner will directly increase your pressure because your reputation is on the line. Identify a partner, it can be your business partner, your mentor, your spouse, or your friend. Your accountability partner needs to be someone who supports you and is willing to oversee your progress. Share your goal with your accountability partner, tell her what your plan and what you need to do each day. And by the end of each week, it can be a Friday, send a progress report to your accountability partner. This will make you feel more accountable and committed to taking action to reach your goals. Another thing you can do to stay consistent is to leverage your environment. Imagine that you want to be consistent with blogging. But the problem is that you can’t find the chance to do so. Every evening after you get back home from work and after your dinner, you decided to blog, but your children, your spouse, or the TV demands your attention. Your environment can stop you from being consistent. What you can do then is to improve your environment so that your environment work for you and not against you. So if you want to blog consistently, choose an environment that works. Get rid of all the distractions, build a bunker, create a mobile workstation, put up motivational posters and vision boards, and make it easier for you to work on your goals. If you find that you watch too much TV, just unplug the TV or turn the TV around or store it somewhere so that it is difficult to watch the TV. Choose a gym that is between your workplace and home so that it is easier to drop by the gym. The key is to make things easy by changing your environment. Identify how your environment is stopping or helping you. If your environment is not helping you, list down or brainstorm the ideas how you can make it work. Read the article suggested above to discover more tips on how you can manage your environment to work on your favor. One reason most people fail to be consistent in achieving their goals is that they try to do too many things all at once. If you are trying to change all your daily habits and make a drastic routine change all at the same time, highly likely, it is not going to work. Our brains are wired to resist change. Thus, if you want to be consistent in what you do, you must start small and easy so that your brain can get used to it quickly. For instance, if you want to build a successful blog, you don’t have to spend 4 hours working on your blog every day. Instead, choose to start slow, but steady. Perhaps you can work on your blog for only 15 minutes a day, and then gradually increase the duration to 30 minutes, an hour, two hours, and so on. Trying to change everything all at the same time can be a bad idea. Unless you have a very strong willpower and motivation, doing things slowly is still the best choice. The same goes for your meditation plan. Most people find it difficult to meditate in the beginning because they are trying to take in too much. Start with just 5 minutes a day. After a week, increase the duration to 10 minutes. And then 15 minutes, and so on and so forth. The reason is that you want to lower the resistance so that you will want to take action and build up the habit to be consistent. Review your plan. Are you overdoing things that you make is so difficult to follow through? Always choose to start small and grow. It may take a longer time, but once you have picked up the habit, you will become unstoppable. Another way to make sure that you are able to stay consistent with doing the work to achieve your goal is to reward yourself. What are the things that you are looking forward to doing or having? Make that your reward. Your reward doesn’t need to be big, but it must be something that will excite you so that you will be motivated to do the hard work. Your goals can be your rewards too. Thus, when the reward is exciting, you are more willing to do the work. For example, will you wake up an hour earlier 5 days a week just to earn an additional $10 per month? Not very exciting, right? How about waking up an hour earlier to earn an additional $1,000 a month? Most people will sacrifice their sleep time and get up early to make the shift because the reward is good. The reward you choose must be something achievable. If it is too small, it won’t excite you. If it is too big and out of your reality, and you don’t believe that you can achieve it, you will not feel the drive too. So choose something just nice. Plus, you can reward yourself with anything as long as it motivates you and drives you to take action. When you don’t see any worthwhile reward from taking action, you will quickly lose your interest and this is where the consistency will die. Reward your hard work. As long as you are making progress, reward yourself. It can be a day off, enjoy your favorite ice-cream, a cup of your favorite coffee, a night out, a movie, etc. Choose a reward that excites you. And make sure the reward is something achievable so that you will stick to the plan and be consistent because your brain knows that the reward is waiting. If you want to be consistent in taking action, you must keep your energy high. For instance, try to avoid drinking alcohol because if you do so, the next day if your energy depleted and you don’t have the mood to work, you will never stick to your plan. Consistency requires discipline. So maintain your energy and avoid doing something that will make you feel tired the next day and it becomes an excuse to not be consistent. Get enough sleep. When you are sleepy, it is easy to procrastinate and delay your work. Eat healthy foods and consume more greens. Take supplements and eat more fruits. When you take care of your body, you have better energy level to go through each day and to take action. Exercise and move your body. People these days lack exercise, especially those who are living in the big cities where they dedicate most of their time to work. If you want to be consistent, take care of your body and maintain your energy level. Live a healthy lifestyle, my friend. Exercise and move your body regularly so that you can summon the energy whenever you need it. This is one of my favorite techniques to stay consistent. If you want to get things done and make sure you do it, every day, just time-block the action. For instance, writing articles like this one is one of my must-do tasks. Thus, I time-blocked my writing task each morning at 9AM. Every day, at 9AM, I will sit in front of my computer and start typing. If there are other things I need to do, I will reject them or delay doing them. I give priority to my writing because I have time-blocked it. No matter how, from 9AM to 11AM, these 2 hours are my writing time. This is how I managed to be consistent and able to publish at least 2 articles a week to this blog. If you are in sales, time-block your most important task, which is prospecting. You can time-block your prospecting activity say from 9AM to 12PM, 3 hours a day. And during these 3 hours, you will do nothing else except prospecting. This way, you will ensure that you get your most important work done and are making progress to reach your goals. This is how highly successful people stick to their schedule and be consistent in what they do. This is how you become good at what you do and able to produce extraordinary results in your field. You schedule your priority. You time-block your most important task and then organize your life around it. Not the other way round. Time-block your most important task. And then never give yourself any option or excuse to not follow what you have scheduled. Whatever that you have time-blocked, make sure you stick to your schedule and get the work done. And that is the meaning of time-blocking. If you want to learn more about time-blocking, read this book, The One Thing. This is a must-read book that I strongly recommend. If it has to happen, it has to happen the first thing in the morning. This is what I have learned from Laura Vanderkam, the author of What The Most Successful People Do Before Breakfast. According to Vanderkam, successful people are consistent because they prioritize and schedule their most important work the first thing in the morning. This is because there are less distraction in the morning and your mind is still fresh and your willpower is still strong. If you try to do it in the afternoon, maybe your energy has depleted and you will have too many other concerns to pay attention to. This is why if you want to be consistent, try to schedule the action in the morning. The suggestion is simple and easy, just schedule the action that you want to develop in the morning. Take a minute and think about all the reasons why you are not being consistent all these while. What is stopping you from being consistent? What is taking your attention away and makes you procrastinate? Highly likely, your answer will be distractions. The moment you want to hit the gym, someone calls you up and invite you for a drink. The moment you want to write an article for your blog, you are suddenly distracted by the drama on TV. You get the idea. There is always something there to distract you and to stop you. Hence, the best way to stay consistent is to get rid of all the possible distractions and build a bunker to protect your time and focus. Switch off your phone, put up a ‘do not disturb’ sign on your door, or politely reject others who demand your time and attention. If you don’t guard your time, you will lose it. Others will have it. And you will never get the work done and be consistent. Try to create a bunker and stay away from all possible distractions. Politely reject those who demand your time and tell them that you will get back to them. Create a positive work environment so that you can fully focus and stay consistent with what you do. Hey, I know that the title of this article says that there are 10 tips here, but I want to take it to another level by giving you even more tips. Here are the additional bonus tips on how you can be consistent in reaching your goals. Knowing your purpose is one of the keys to staying consistent. Why do you want to achieve your goals? Remember, your purpose spark your desire. If your purpose is clear and strong, your desire will be strong too. And if your desire is strong, you are more willing to stick to your plan and do whatever it takes to stay consistent. People who often fail to be consistent and who procrastinate because they lack a strong purpose. They say that they want to build a successful blog, but all they do is play games on their phone. They don’t take any or much action because their desire to achieve their goal is just not strong enough. Thus, the next time you want to procrastinate, think again. Do you really want to achieve your goal and are you willing to do whatever it takes? Or are you going to do what is convenient? Identify your purpose. 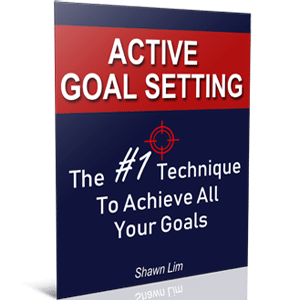 Why do you want to achieve your goals? Clarity is power, my friend. When you are crystal clear with your purpose and the reason why you want to achieve what you want, you become unstoppable. Do just one thing at a time. If you are trying to do many things all at the same time, there is a higher probability that you are not going to stick to the plan. Consistency requires focus. When you lose your focus, you will lose your drive and your consistency. Develop an action into your habit. Choose just one thing and do it until it becomes a routine. And then only choose to develop more. Stop trying to take on too much at one go, especially in the beginning. Identify just one action that you want to be consistent with, and then focus on building this action into your habit. When it comes to developing your habit to stay consistent, one very important thing to remember is to keep it going. You have to maintain the momentum and take the action every day. Allow me to explain. If you want to be consistent with doing 30 push-ups every day, I bet that there will be days when you totally don’t have the energy and the motivation to do it. When these days happen, you can lower the number of push-ups you are going to do, but do not procrastinate and not doing it. Go for only 10 push-ups. No matter what you do, take action and put in the effort, even if it is a small effort. This is the key to staying consistent and building the habit. If you build the habit of consistently writing 1,000 words each day, and when you don’t feel like doing it or when you are outstation or you don’t have the time to do it, choose to maintain the momentum by doing the minimum. Don’t procrastinate and don’t choose to do nothing at all. I repeat, no matter what you do, take some form of action, even if it is just a baby step. If you can’t write 1,000 words, write 100 words. If you can’t do 50 push-ups, do 10 push-ups. If you don’t have the stamina to run 5 miles, run just 1 mile. If you don’t have time to exercise for an hour as you have committed, exercise for just 10 or 15 minutes. You want to make sure you put yourself in the active mode and maintain the momentum. The moment you stop, it is difficult to catch up again. And this is why most people fail to be consistent. They take massive action up front, for the first few days or weeks. And then when they have bad days or days when they have no motivation at all, they choose to stop. Never let this happen to you. Build your consistency by doing the minimum. Of course, whenever you are highly motivated, you can choose to do more. This suggestion is only applicable whenever you don’t feel like doing it. Stick to your plan and do the minimum. Keep your momentum no matter how tired, sleepy, or lack of motivation. Take action and make the progress even if it is a tiny effort. If you read until this point, I want to congratulate you for sticking with me until the very end. We have covered a lot of ground and I hope that what you read is going to be useful and helpful. Being consistent with what you do is one of the fundamental keys to achieving extraordinary success in life. But before you leave, do share with me which tip you find most interesting. So what do you think is the best tip to stay consistent? Leave your comment below.